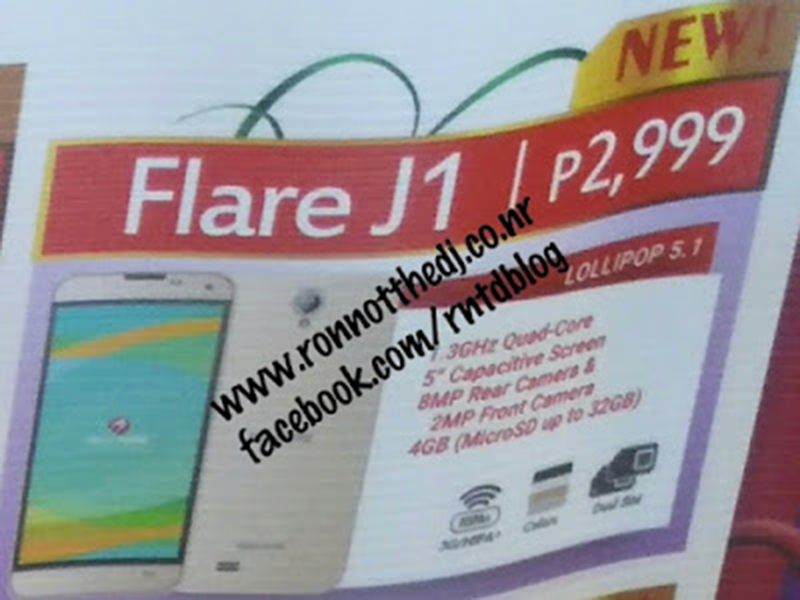 Cherry Mobile Flare Mate, Flare Lite 2, Flare J1, Omega HD Nitro And Omega HD 3 Leaks! 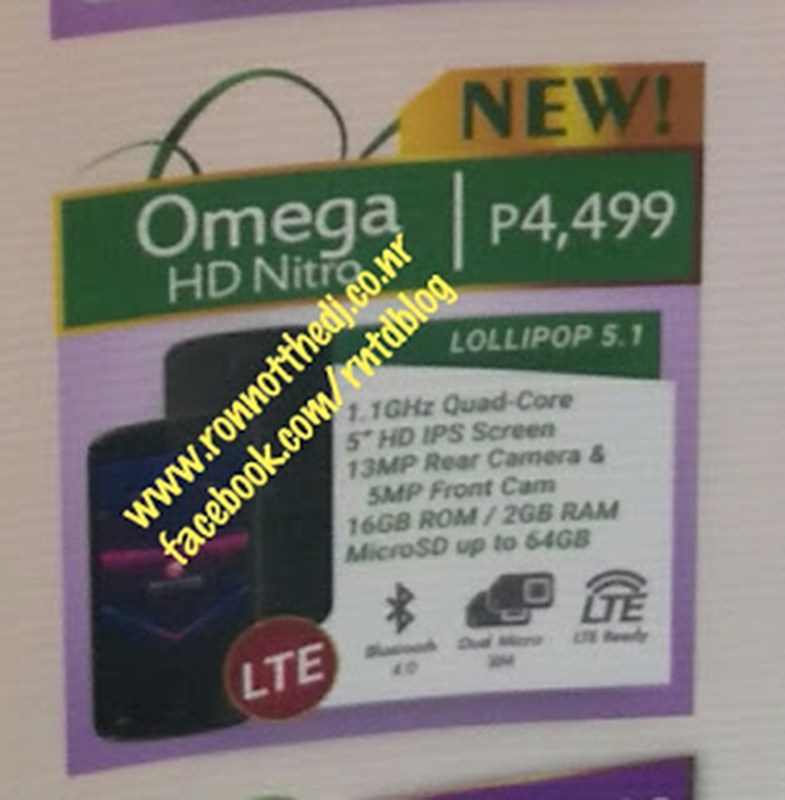 Home / cherry mobile / mobile / news / Cherry Mobile Flare Mate, Flare Lite 2, Flare J1, Omega HD Nitro And Omega HD 3 Leaks! In a recent post by our friend, ronnotthedj, he just spotted 5 new Cherry Mobile devices on their tarpaulin. The beastly flagship Flare Mate, Flare Lite 2, Flare J1, bang per buck Omega HD Nitro and Omega HD 3. 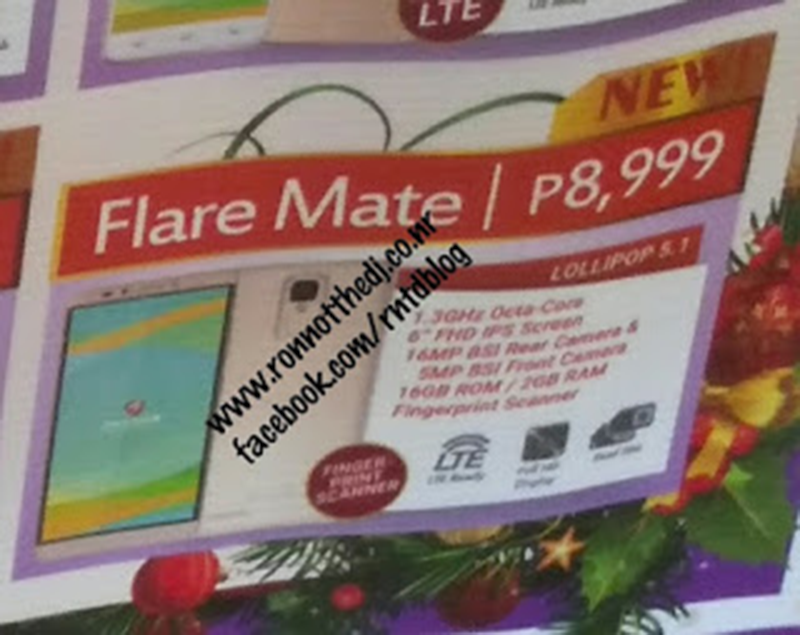 The Flare Mate is a gigantic 6 inch phone with Full HD screen, 1.3 GHz octa core processor, 2 GB RAM, 16 GB ROM, 16 MP BSI rear camera, 5 MP BSI selfie camera, fingerprint sensor, Android 5.1 Lollipop OS and LTE connectivity. It retails at 8,999 Pesos. The Cherry Mobile Flare J1 on the other hand is a 5 inch phone with 1.3 GHz quad core processor, 4 GB expandable ROM up to 32 GB, 8 MP rear camera, 2 MP selfie camera, dual SIM, 3G and runs on Android 5.1 Lollipop. 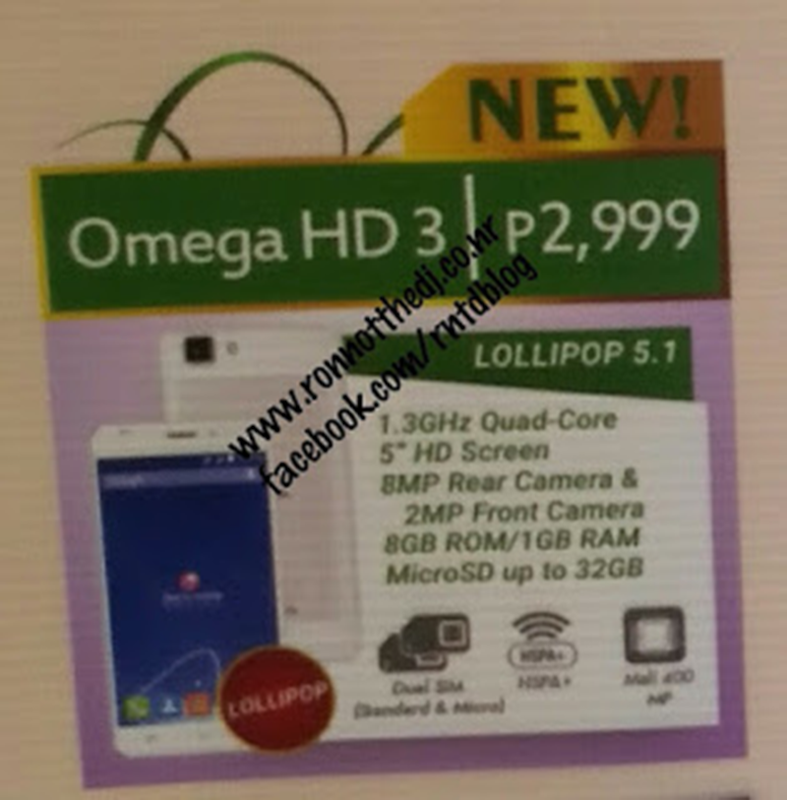 This device is priced at 2,999 Pesos. 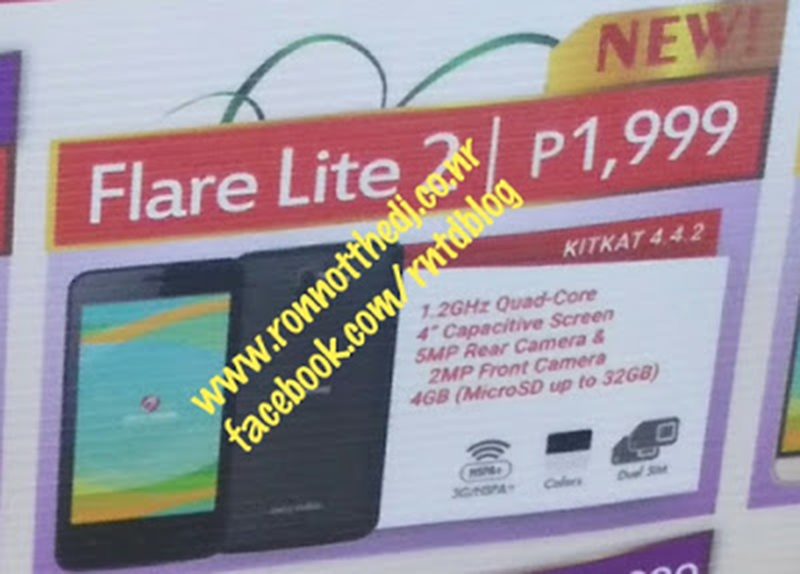 Next is the Flare Lite 2. It's a 4 inch phone with 1.3 GHz quad core processor, 4 GB expandable ROM up to 32 GB, 5 MP rear camera, 2 MP selfie camera and runs on Android 4.4. Kitkat. It's priced at just 1,999 Pesos. Then we go with the Omega HD Nitro. The Omega HD Nitro is a highly appealing budget phone that features 5 Inch HD IPS screen, 1.1 GHz quad core processor, 2 GB RAM, 16 GB expandable ROM to 64 GB, LTE connectivity, 13 MP rear camera and 5 MP selfie shooter. It's priced 4,999 Pesos. Last is the Omega HD 3, it features 5 Inch HD screen, 1.3 GHz quad core processor, Mali 400 GPU, 1 GB RAM, 8 GB expandable ROM to 32 GB, 8 MP rear camera, 2 MP selfie camera and runs on Android 5.1 Lollipop. This phone is priced at just 2,999 Pesos. The rest of the specs and details is yet to be determined. Great find Ron!